There is No Special Diet for diabetic patients. It is same as that for non- diabetic patients except there are some modifications & restrictions. Always eat 'High Fiber' diet. Fiber is a part of grains, vegetables or fruits that can not be digested or absorbed by our body. Fiber satisfies our hunger as well as decreases the absorption of glucose and fat etc. Avoid refined Sugar esp. cold drinks, ice creams, jams, pastries and candies etc. Although a small amount of sweet food can be a part of healthy diet. One can have “Artificial Sweeteners” in moderate amount. Examples are: Aspartame (Equal, Sugar free), Stevia, Acesulfame Potassium etc. Avoid Saturated Fat (Ghee or Butter). Use Polyunsaturated (Sunflower oil, Safflower oil, Corn seed oil) or Monounsaturated oil (mustard oil, olive oil). Total intake of fat should not be more than ½ kg per person per month. Eat Small and frequent Meals. The best way is to have three main meals with small snacks in between two meals. Never eat while watching TV, reading or listening to radio. Eat in a slow and relaxed manner so that even less food can satisfy your hunger. You can have ‘Fruits’ as they are rich in vitamins, minerals and fiber. A diabetic patient can have approx. 200 - 300 gms. of non-ripe or 75-100 gms. of ripe fruit a day. Although all fruits can be taken, it is always advisable to avoid very sweet fruits e.g. Mango, Grapes, Cheekoo and Banana. Avoid Red meat, while white meat (Fish and Chicken) can be taken in moderation. Always take boiled, baked or roasted preparations. Avoid fried preparations. Fish oil is rich in Omega-3 fatty acids thus can be taken in moderation. Fish rich in omega-3 fatty acids are Mackerel, Tuna, Trout, Salmon & Herring. Rice (esp. polished) has high caloric index than wheat but can be taken in moderation. It should be taken in boiled form with baked/boiled vegetables or pulses. Potatoes are a rich source of starch and can be taken in moderation in boiled or roasted form and Never in fried form. Avoid Sweets of any kind even during celebrations. If you can’t avoid, take in small amount and never compensate by taking extra dose of medicine. It may prove to be harmful. Eat nearly same amount of food about the same time every day and never skip/delay any meal. 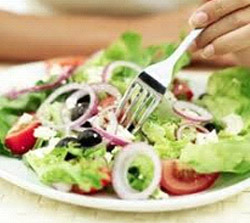 If meal is delayed due to some unavoidable reason than compensate with fruit, yogurt or milk etc. Use Salt in moderation esp. if you have high BP. Always take food in its natural form. Avoid processed, canned or frozen foods as they have extra salt. Avoid Alcohol as it may result in hypoglycemia esp. in patients on insulin or anti-diabetic tablets. It can also increase triglyceride levels. Avoid seafood, red meat, pulses, sweet bread and alcohol if you have high levels of Uric Acid (Hyperuricemia). Always read nutritional facts (Calories, Carbohydrate & Fat content) while buying packaged foods. 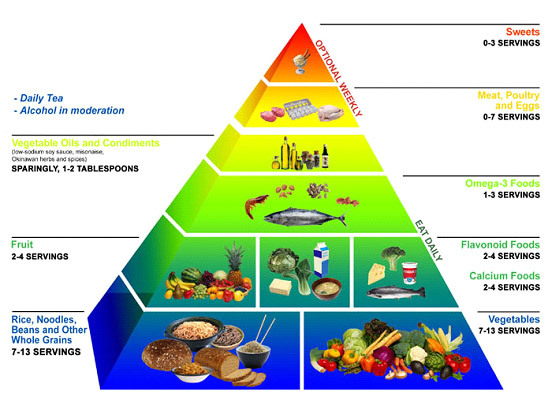 Low GI (Glycemic Index) Diet is good for diabetics. 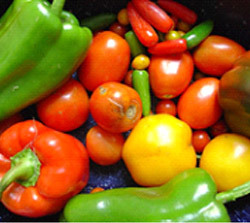 Foods with low GI index are Apples, Oranges, Beans, Lentils, Pasta & Whole Grain/Brown Bread. These foods release sugar (glucose) slowly in blood, provide a steady supply of energy & longer appetite satisfaction. On other hand foods with ‘High’ GI Foods like Potatoes, Polished rice, White Bread & foods with High Sugar content cause a rapid rise in blood glucose. Such foods would result in weight gain on long term basis. EAT TO LIVE, Not LIVE TO EAT !